Internet search giant Google has been ranked as the best company to work for by management and engineering graduates in two separate surveys, which term the company the world’s “most attractive employer”. Google has been ranked at the top of its list of the top 50 global businesses and engineering companies to work for — the third year in a row. 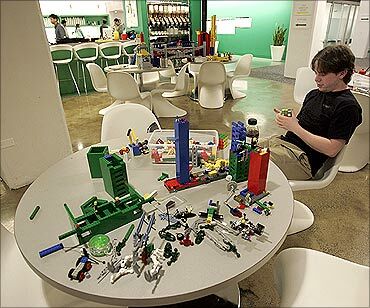 An employee plays with lego at the New York City offices of Google. The search giant has been dubbed the most attractive employer by more than 160,000 people from Brazil, Canada, China, France, Germany, India, Italy, Japan, Russia, Spain, the UK and US looking for the right place to work. 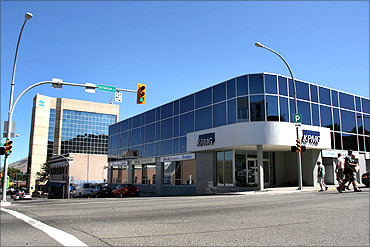 KPMG is one of the largest professional services firms in the world. The US branch of KPMG was rated one of the top 10 companies for working mothers. It is also ranked No. 56 on Fortune magazine’s list of 100 Best Companies to Work For, voted for by employees. KPMG ranks No. 5 out of 125 among companies with the best training programs according to Training Magazine. The top 50 global employers for business and engineering students are very similar, showing that strong employer brands transcend many skill and industry groups. PricewaterhouseCoopers (PwC) is a global professional services firm headquartered in London, United Kingdom. It is the world’s second-largest professional services firm (after Deloitte) and one of the ‘Big Four’ accountancy firms. PwC has offices in 757 cities across 154 countries and employs over 175,000 people. 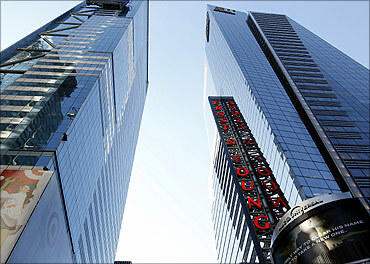 A view of the Ernst & Young headquarters in New York. For the fourth consecutive year, Ernst & Young made it to the list of the world’s best employers. 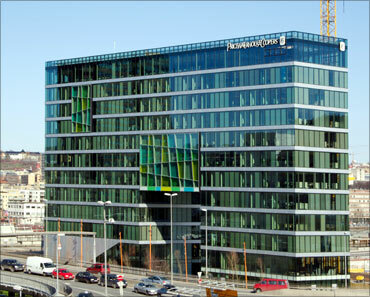 It was the highest ranked Big Four accounting firm on the 2010 Universum employer survey. Ernst & Young was ranked No. 2 in the business field and scored the No. 1 spot among students surveyed who are majoring in accounting. It also has a place in Working Mother Magazine’s ’100 Best Companies for Working Mothers’ and Fortune Magazine’s 100 Best Companies to Work For. Diversity of employees makes Deloitte different from the rest. 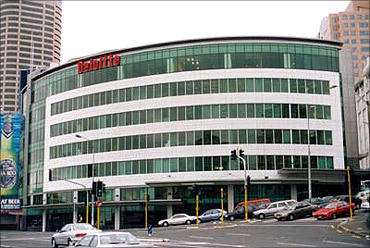 Deloitte is the largest private professional services organisation in the world. The company has 182,000 staff at work in more than 150 countries, delivering audit, tax, consulting, enterprise risk and financial advisory services through its member firms. Microsoft gives software developers a lot of personal freedom. Microsoft has scored high by offering a nurturing environment for employees to bring out the best in them. 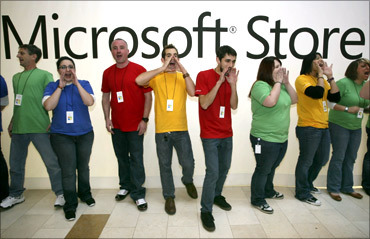 Microsoft has a productive work environment and good leadership. 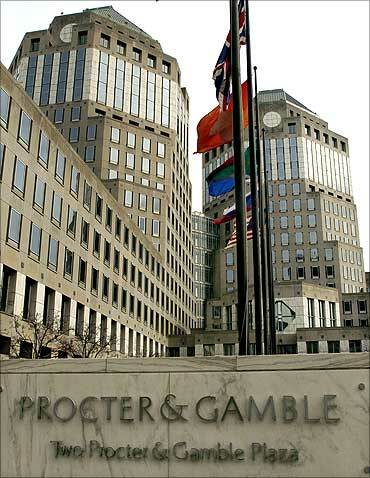 Procter & Gamble’s corporate headquarters is seen in Cincinnati, Ohio. Procter & Gamble (P&G) grants employees the best privileges that help them progress well. 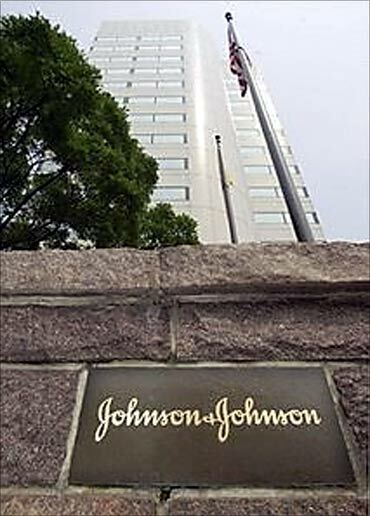 A Fortune 500 American multinational corporation headquartered in Cincinnati, Ohio, it manufactures a wide range of consumer goods. JP Morgan and Chase headquarters is seen in New York. Financial organizations are losing attractiveness among business career seekers, says Universum. Apart from JP Morgan that still manages to attract more talent, other financial organisations are under performing in what could be considered their niche market. 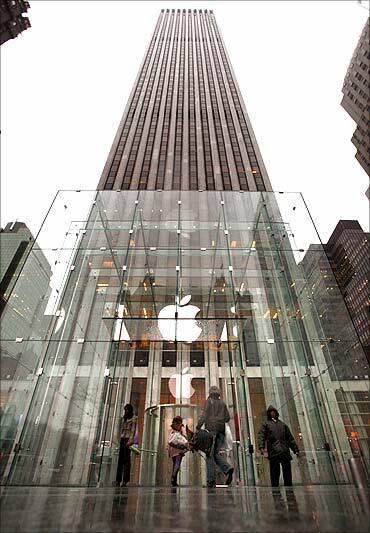 Customers enter the Fifth Avenue Apple store in New York. Apple takes good care of its employees and offers a congenial work environment. Apple allows employees to use many of their latest products on daily.Fortune magazine has also ranked Apple as one of the best companies to work for. Clouds are reflected on the outside of the Goldman Sachs building. 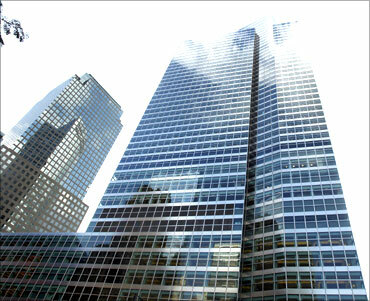 Goldman Sachs has been rated as the tenth best employer by Universum. Fortune has included Goldman Sachs as one of its ’100 Best Companies to Work For’ every year since the rankings first came out in 1998. 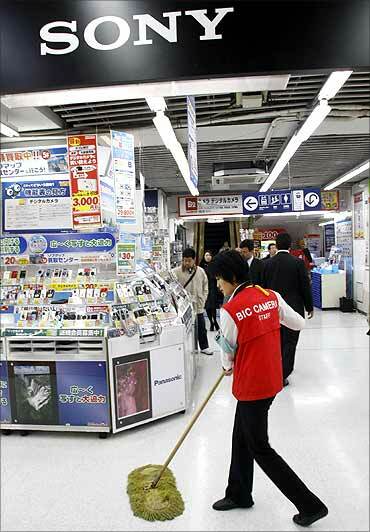 A Sony Corp signboard is displayed at an electronics shop in Tokyo. Ranked 11th, Sony is one of the leading manufacturers of electronics, products for the consumer and professional markets. 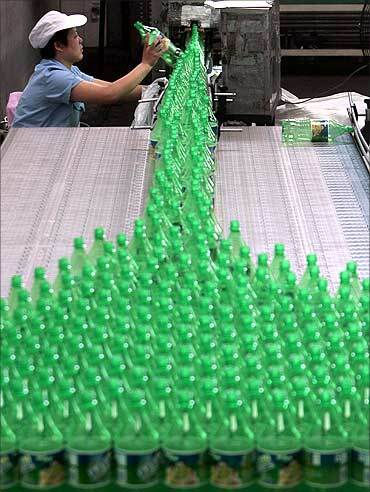 An employee works at a Sprite production line at the Coca Cola plant in Nanjing, Jiangsu province. The Coca-Cola Company is an American multinational beverage corporation of manufacturer, retailer and marketer of non-alcoholic beverage concentrates and syrups. General view of L’Oreal cosmetics company’s shampoo and hair care testing laboratory at l’Oreal headquarters in Clichy, near Paris. Ranked as the 13th best employer, the L’Oreal Group is the world’s largest cosmetics and beauty company. 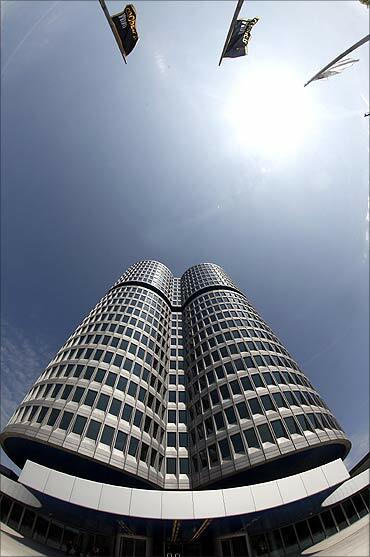 Headquarters of German luxury carmaker BMW in Munich. BMW, a German automobile, motorcycle and engine manufacturing company founded in 1916. Employees seek companies that can offer a great work/life balance. “There’s a generational gap – while Baby boomers and the generation X were highly focused on working hard to achieve materials gains, generation Y is looking for a more balanced life while still wanting to achieve these gains. They seem to be aspiring for what their parents missed” says Cecilia Dahlstrom, global marketing director at Universum. 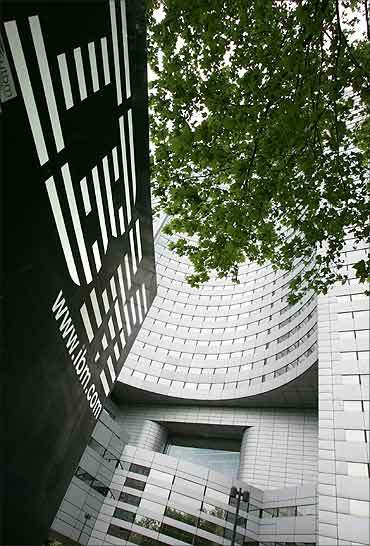 IBM headquarters at la Defense in Paris. IBM has one of the largest professional workforces in the world today. The company offers several career/skills development programs, a challenging, empowering work environment with world-class infrastructure and is sensitive to a global workforce. McKinsey & Company, Inc. is a global management consulting firm that focuses on solving issues of concern to senior management. 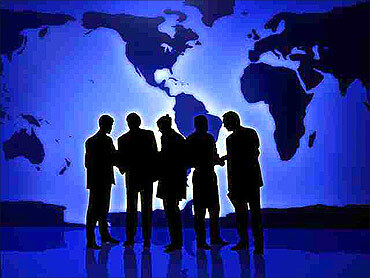 McKinsey serves as an adviser to many businesses, governments, and institutions. It is recognised as one of the most prestigious firms in the consulting industry and has been a top employer for new MBA graduates since 1996. 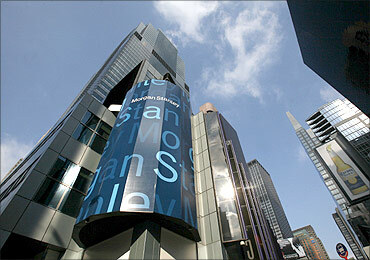 Morgan Stanley headquarters building in New York’s Times Square. One of America’s largest companies, Morgan Stanley is a favorite among employees as well. Morgan Stanley was named one of the 100 Best Companies for Working Mothers as well. 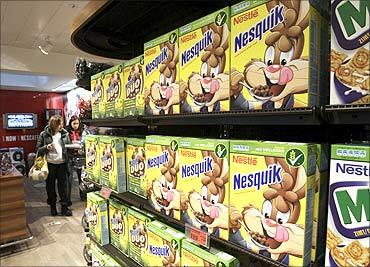 A woman walks past a food display at the company supermarket at the Nestle headquarters in Vevey. Nestle believes the success of the company lies in its ability to attract, retain and develop employees on a continuing basis. The company encourages continuous improvement and excellence through learning and the improvement of professional and leadership skills at all levels in the organization. 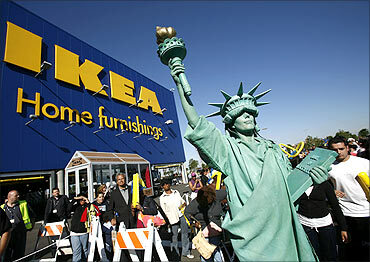 A woman dressed as the Statue of Liberty attends the grand opening of the Ikea home furnishing store. Founded in 1943 by 17-year-old Ingvar Kamprad in Sweden, IKEA is a privately held, international home products company that designs and sells ready-to-assemble furniture. IKEA is known for it its innovative human resource management practices, flexibility and initiatives on employee development. Even part time workers are offered health and dental insurance coverage.